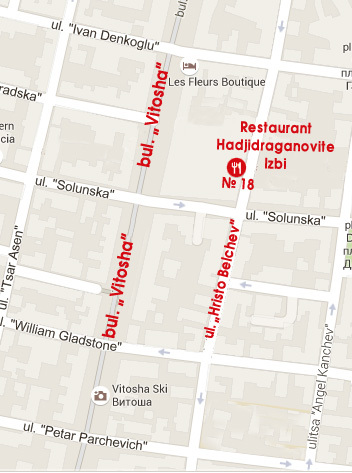 18, Hristo Belchev street (next to Vitosha boulevard). The restaurant Hadjidraganovite izbi is a perfect stop after a daily walk through the center of Sofia or for a dinner with traditional dishes and drinks. You can check our location at Google map here.